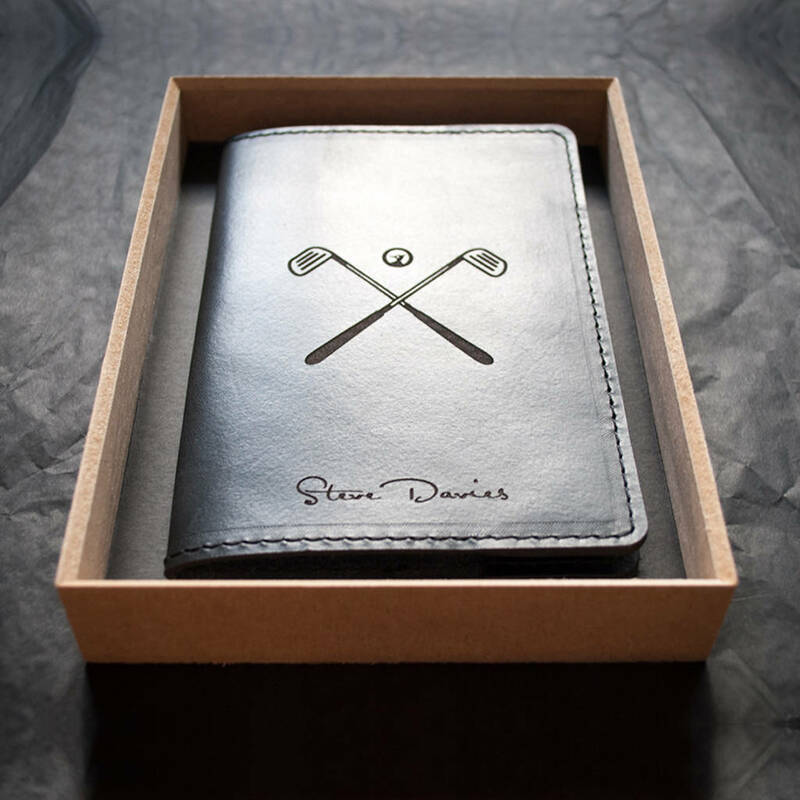 Our Custom Leather Scorecard Holders are designed for professional and amateur golfers and can be personalised. 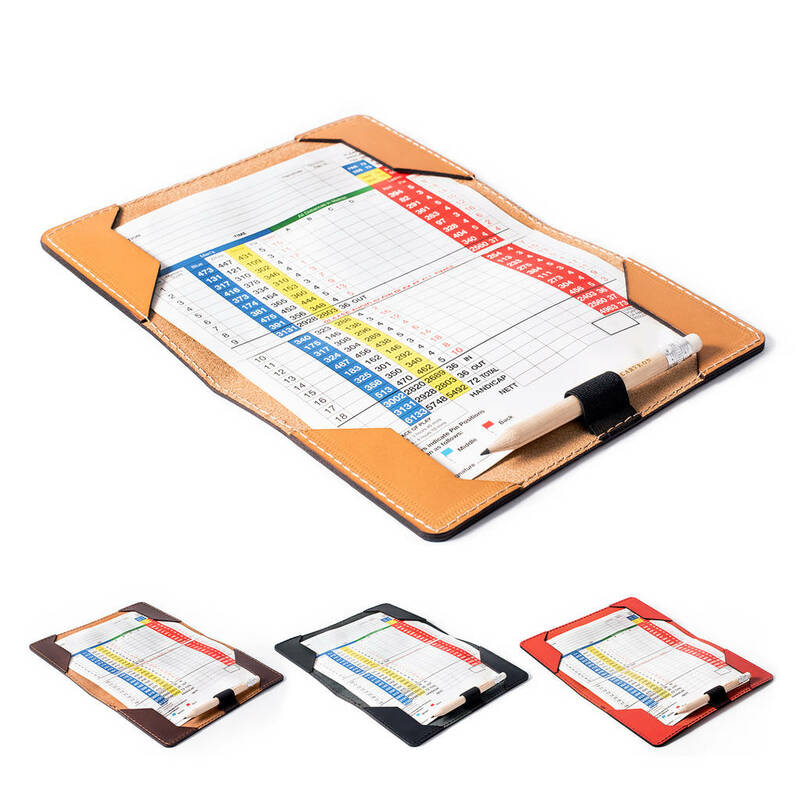 Designed to house standard 14cm x 20cm golf scorecards, our cover will fit stylishly in your back pocket. We have also incorporated an elastic pen / pencil holder and include a wooden golf pencil. 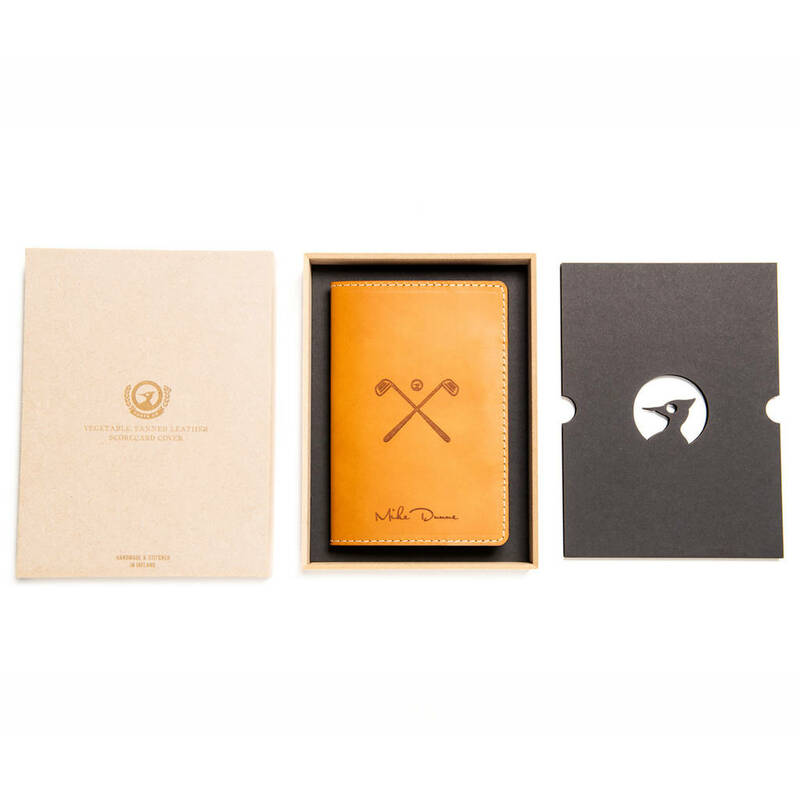 Each leather scorecard holder comes presented in our bespoke wooden presentation box and is available for shipping worldwide. 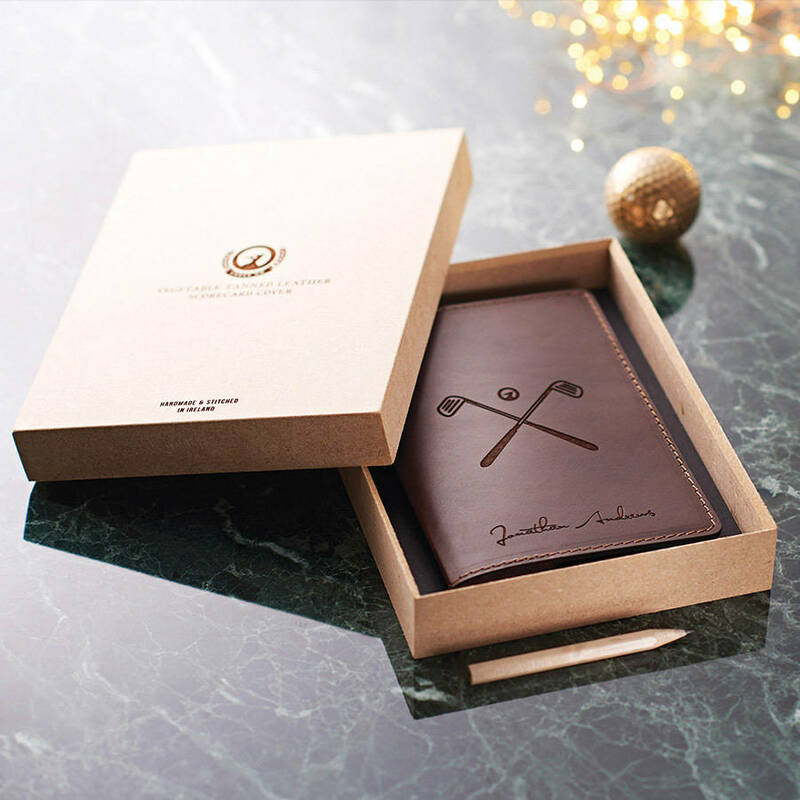 Individually hand-crafted at our workshop. 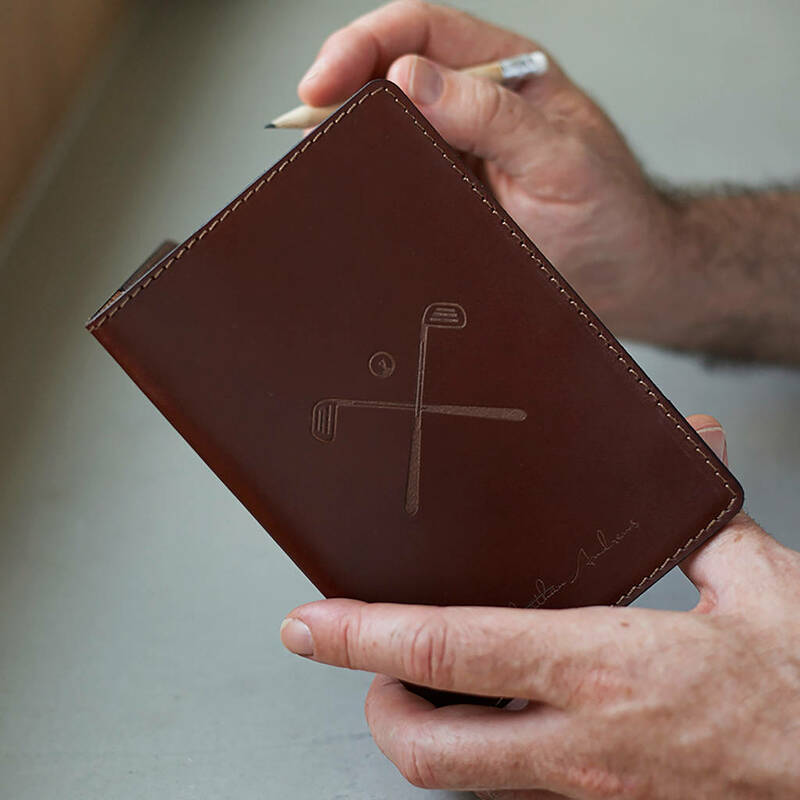 Our leather scorecard holders are available in Tan, Red, Black and Dark Brown. 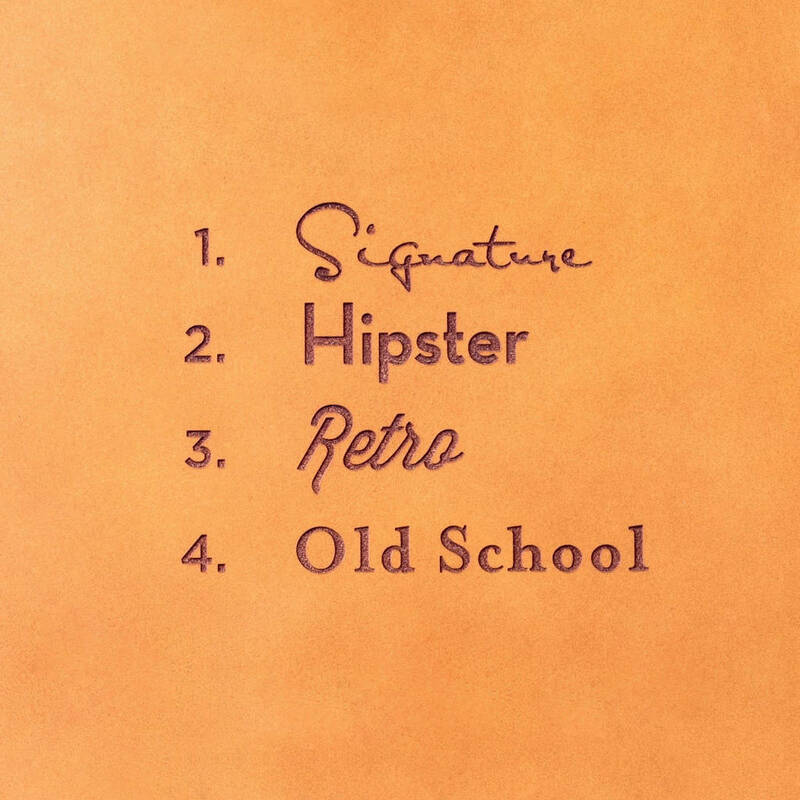 Why not add that personal touch? 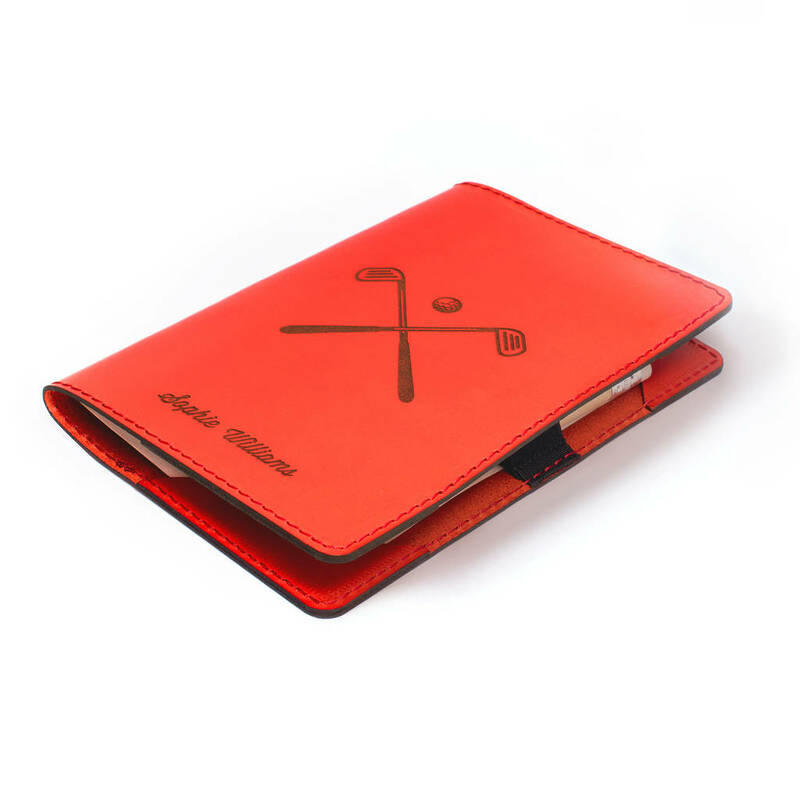 Have your cover customised with your initials, name or custom text. Add you text in the box provided. We will centre the text at the bottom, unless otherwise instructed. We use FedExas our shpping partners. 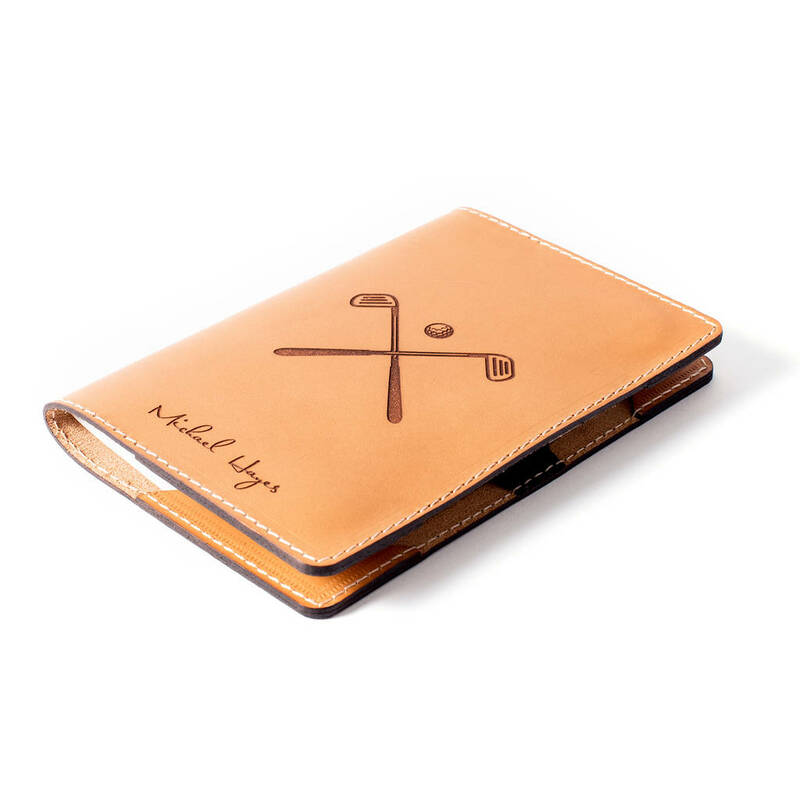 Crafted from 4oz vegetable tanned Tuscan leather, our scorecard holder blends traditional style & functional design. 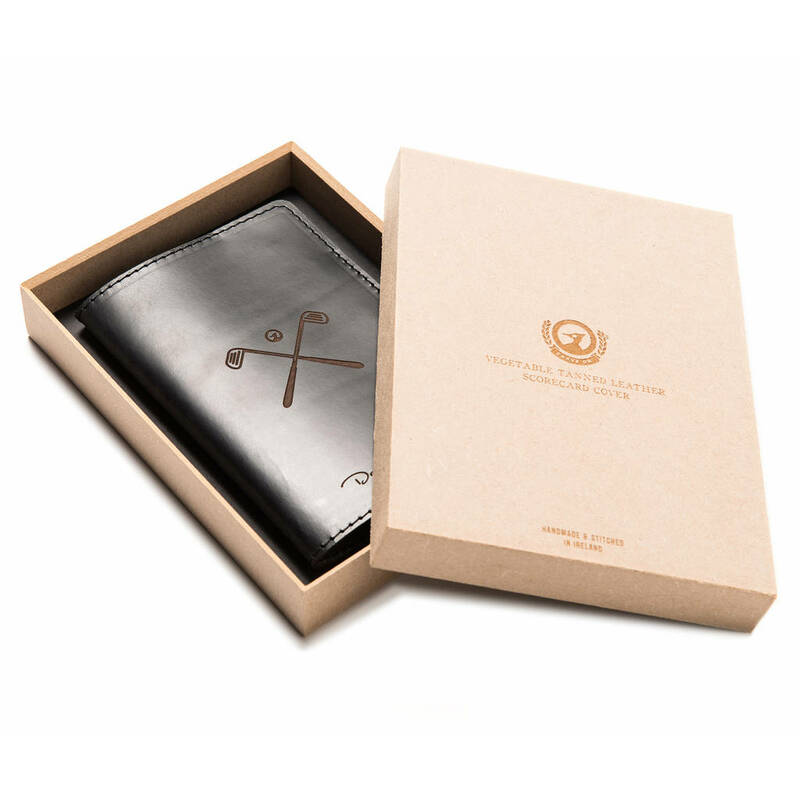 Our high quality 100% vegetable-tanned leather will wear gracefully and change with the owner's habits over time. The minerals used in the vegetable tanning process are all naturally occurring in the bark of trees and the leaves of many plants. 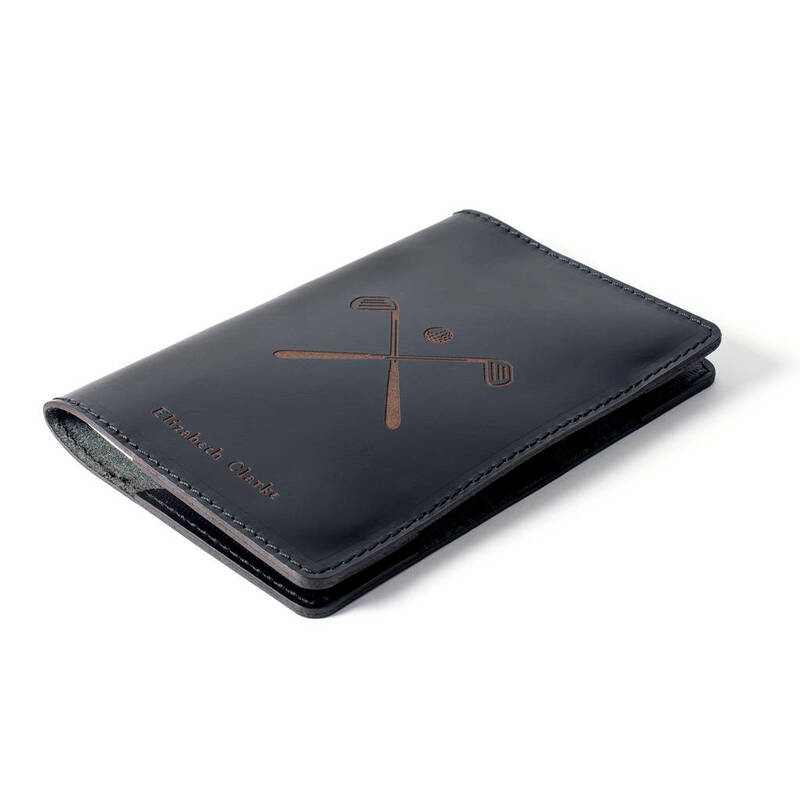 This product is dispatched to you by Carve On.